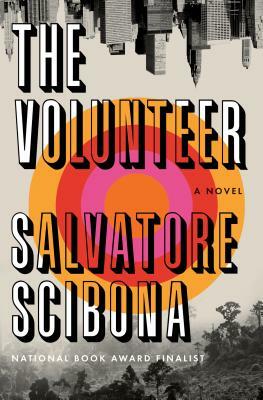 Salvatore Scibona’s first book, The End, was a finalist for the National Book Award, and winner of the Young Lions Fiction Award from the New York Public Library and the Norman Mailer Cape Cod Award for Exceptional Writing. He was awarded a 2009 Whiting Writers’ Award. In 2010 he was awarded a Guggenheim Fellowship and was included in the New Yorker's "20 Under 40" list of writers to watch. The End is published or forthcoming in seven languages. Scibona's short fiction has won a Pushcart Prize and an O. Henry Award. His work has appeared in The Pushcart Book of Short Stories: The Best Stories from a Quarter-Century of the Pushcart Prize, Best New American Voices, The Threepenny Review, A Public Space, Divisione di la Repubblica, Satisfiction, the New York Times, and the New Yorker. A graduate of St. John’s College in Santa Fe and of the Iowa Writers’ Workshop, he administers the writing fellowship at the Fine Arts Work Center in Provincetown, Massachusetts.